This last Saturday, the sensational headline “Did Native students stand for National Anthem?” was featured on the front page of the Rapid City Journal. The headline and ensuing story relates to a disturbing January 24 incident where Native American students, some as young as 9-years-old, were badgered with racist epithets and had beer poured on them as they attended a Rush hockey game in Rapid City. Rather than bringing increased scrutiny to the disturbed individuals who targeted young Native children with torrents of violent racism–the newspaper examines the victims’ responsibility. This questionable spin on the story which has dominated the publication’s attention since January 24 shines a light on a larger issue of media representation of Native in South Dakota. The Lakota People’s Law Project started because the state of South Dakota was willfully violating the Indian Child Welfare Act. While it is one issue among many, both the recent incident at the hockey game and the unfortunate aftermath indicate racism is still alive and well in South Dakota. And it must be confronted and eradicated. Needless to say, the American Horse School student body’s participation in the National Anthem is completely beside the point in light of such racist actions. The children’s alleged failure to stand does not justify adults hurling beer and bigoted remarks at grade-school age children. Even worse, the Journal’s story relied on anonymous sources who refused to go on the record. Furthermore, those anonymous claims have since been roundly denied by other eyewitnesses, further reinforcing the article’s glaring deficiencies. Public backlash has been fierce since the article ran on January 31. Everyone from the Native American Journalists Association to activists on Twitter have voiced their distaste for the Rapid City Journal‘s headline. “I have faith that the Rapid City Journal can right this wrong and rebuild its trust with the Native American community if further steps are taken. It’s important news organizations do what they can to take advantage of resources made available by NAJA and other groups to improve their coverage, and in the long term, more mainstream outlets in Indian Country need to hire Native American staffers so they are better positioned to avoid these instances in the future,” stated NAJA president Mary Hudetz. 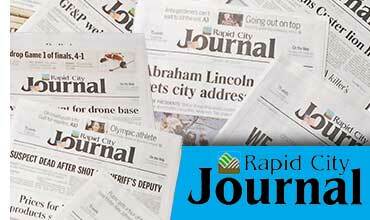 To their credit, the Rapid City Journal issued a statement apologizing for the headline and pledging they will continue to investigate and bring to light instances of racism in South Dakota Indian County. “The Rapid City Journal deeply regrets the pain this headline has caused to our community and pledges to continue our efforts to fight racism and other social ills,” wrote Rapid City Journal Executive Editor Bart Pfankuch in an editorial published today. Meanwhile, law enforcement officials have yet to file charges against the culprits responsible for the racist attacks. “We’re going to be looking at assault. We’re going to look at the hate crime statutes. We will look at the child abuse statutes. And, we will look at any other relevant statues,” said Rapid City Police Chief Karl Jegeris in regards to the state’s handling of this offense. The Lakota People’s Law Project eagerly awaits prosecution of the perpetrators who caused the American Horse School group to evacuate the hockey game prematurely and undue psychological harm. We demand the perpetrators be punished. It is important to acknowledge such behavior will not stand if South Dakota is to move forward and beyond its culturally biased past. Read our initial coverage of the encounter here. Let us take care of our own! STOP THE HATE! Freedom for all must be our goal.. My prayer will be offered for justice. The rights of children must be our goal always..Pray the children will not be hardened by these attacks. The way some people act in our world cannot be acceptable to God our Father in Heaven.. I hope our children know this…we must be responsible for our actions. 2015 this still blatantly occurs? Stand by.. It just infuriates me to hear of such abuse against anyone. It is far worse, when it it inflicted on children. Edmond Burke said, “The only thing necessary for triumph of evil is good men to do nothing”. Shame on all those who stood by in horror yet did nothing!!! Good luck seeking justice. My thoughts and prayers are with those children and your project. This whole story should have focused more on the fact that they were kids and less that they were native. What happened to those kids is wrong no matter what their race is. I also believe their are more racist natives then there are any others. So maybe if they started to change there ways of thinking about people who are not native then those people would think better of natives. You’re clearly confused. What a dilemma. To protect the children or to protect your beliefs; nefarious as they may be. You are attempting to use the same mindset as the original writer/titler of the other article. “Their (there) are more racist natives than there are any other.” This is false for several obvious, substantiated reasons, but also simply because native population percentage is in single digits in the USA versus comparative majority European settlers. Finally, it is clearly about race and their being NATIVE children because they were told to go back to the rez. That would be an irrelevant remark for Caucasian or African American children. Equate it if they’d said to African American children, go back to the plantation. Everything you said was flawed, which shows your mentality and biased stereotyping of all natives. It is important that they are Native children! These men were seeing race when they chose to hurl beer at children. Why would we exclude the fact that this was specifically a hate crime? Closing our eyes to racism, racial issues, structural racism, and other people’s culture and circumstances is in itself a way to deny ugly truths and slow progress. The problem is bigotry and the solution is valuing others by listening earnestly and facing discrimination immediately. What do you mean “there are more racist natives”? It’s a very basic fact that minorities can be prejudice against others but not racist since they cannot systematically oppress the culture, language, economics, and education of those already doing so (white people ie people of privledge). And since they are being systematically oppressed they have a right to be angry, but should attempt to use that anger to change minds much like MLK. If people in this area are so ignorant that they do not see the hate the local Native people experience everyday they deserve more then a few angry words. Ignorance isn’t innocence. Just-world fallacy, I hope. Wouldn’t be terribly surprised if it was something more sinister, though.